2014 Spring/Summer Bass Competition(s) in Michigan? 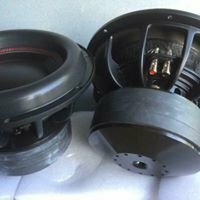 Any spl comps in oklahoma? Autorama 2014- What Class will you be in? Any Central Florida Sound offs coming up? Looking for Jeff Vu. Red acura integra hatch. What class for spl would I be in? Car Audio Tournament of Champions™ (CATOC™) this Saturday! What event to enter for first event? CATOC™ SW Regional Finals, Sat. November 16th! Unified world finals. Who's going? Hope for the holidays charity SPL show. Kansas city area.